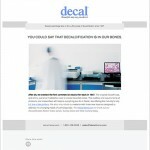 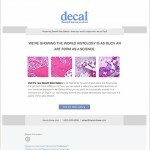 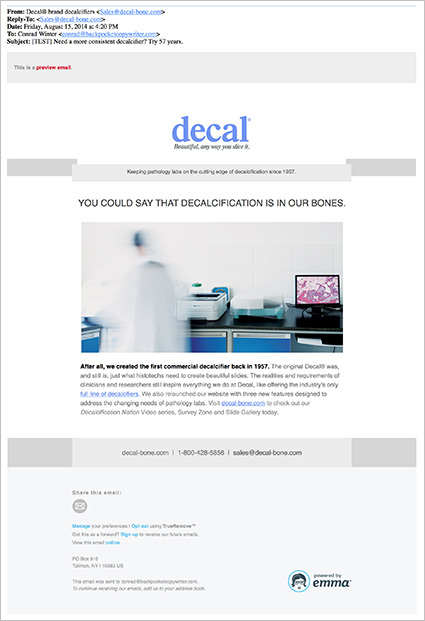 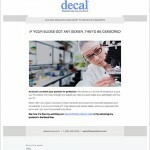 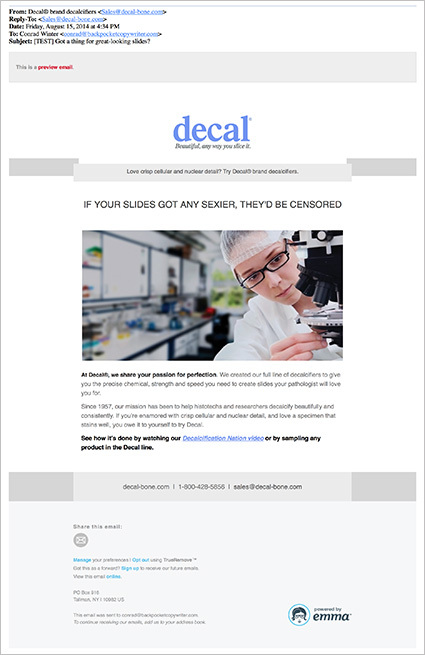 I created this lead nurturing email campaign for Decal, a manufacturer of decalcifying formulas used in medical laboratories. 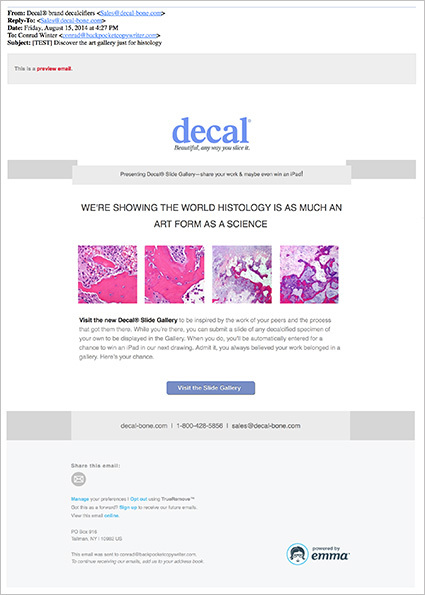 Our primary target was the histotechs who use the product. 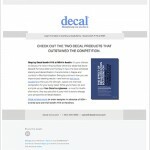 Our goal was to drive preference in a market that perceived all decalcifiers as a commodity. 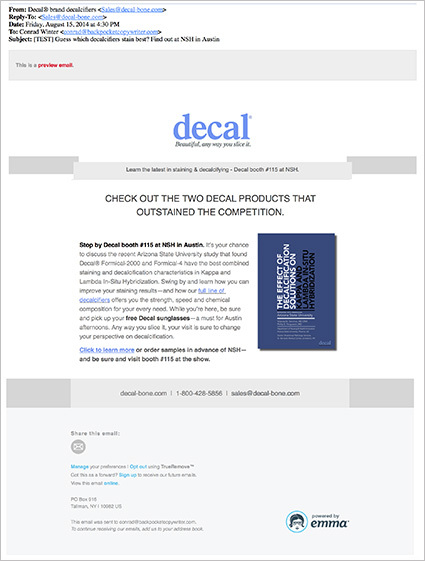 Our tactic was to appeal to the passion and dedication of the practitioners in this field and reinforce our first-in-category credentials. 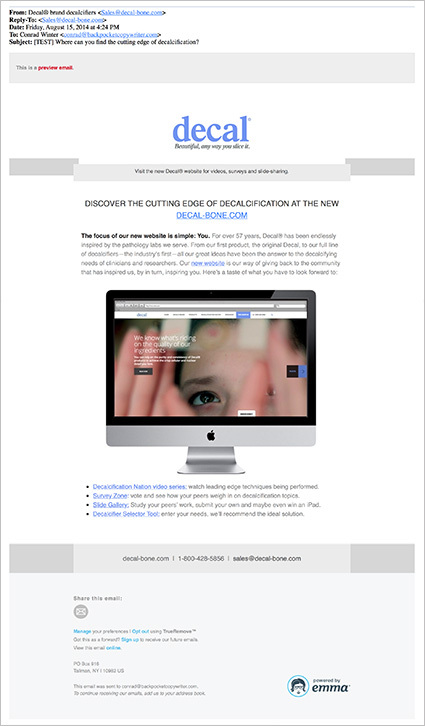 The emails were part of a widescale branding effort which included print and banner ads, videos, their website and the tagline which I penned, “Beautiful, any way you slice it.” Design studio: Ron Zisman, Ricochet Communications Design.